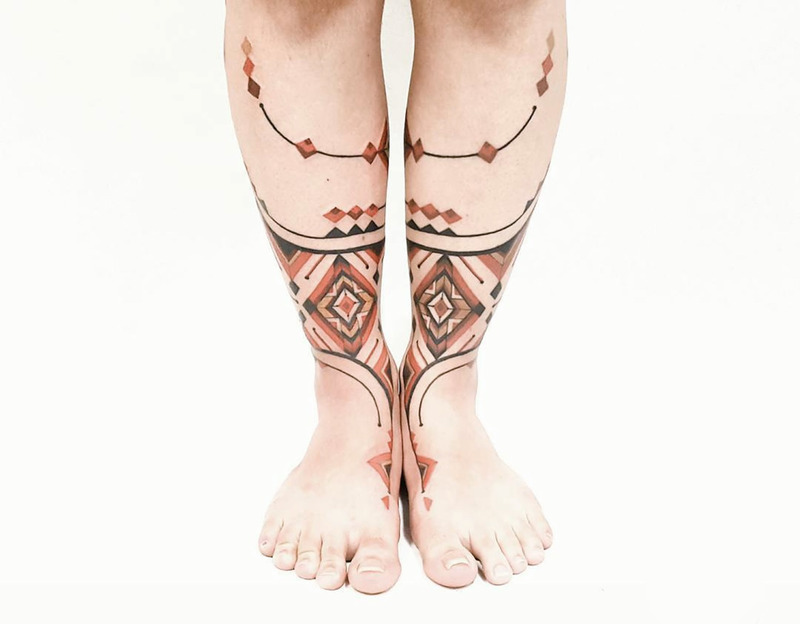 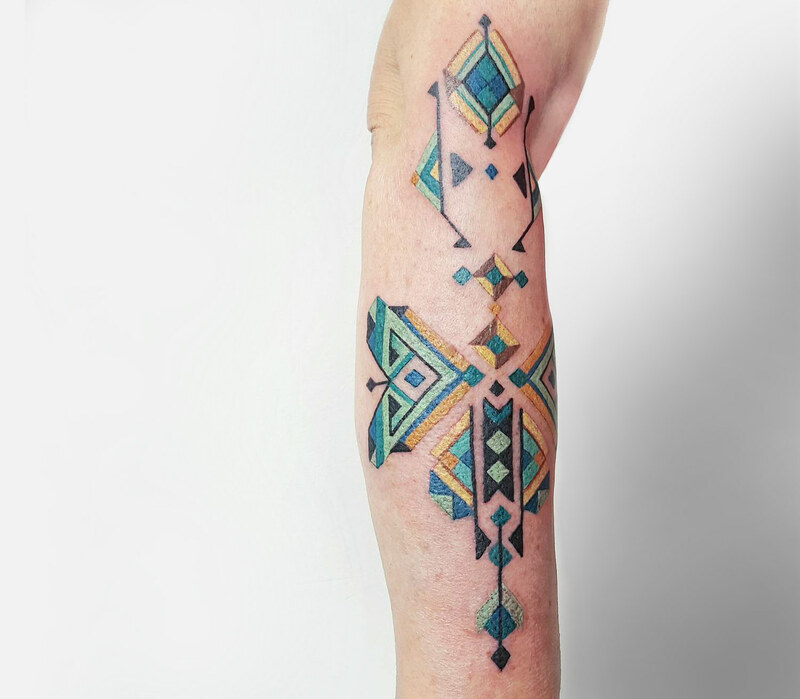 Influenced by Brazilian and Peruvian tribes, he credits Shipibo and Huni Kuin artwork for many of his pieces. 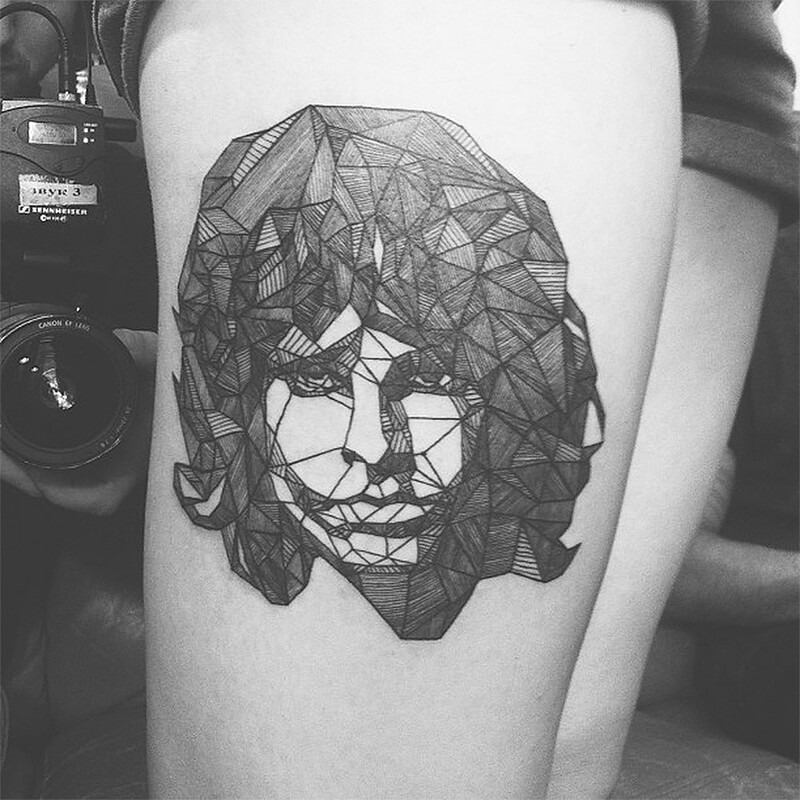 The goal is to honor, never to plunder. 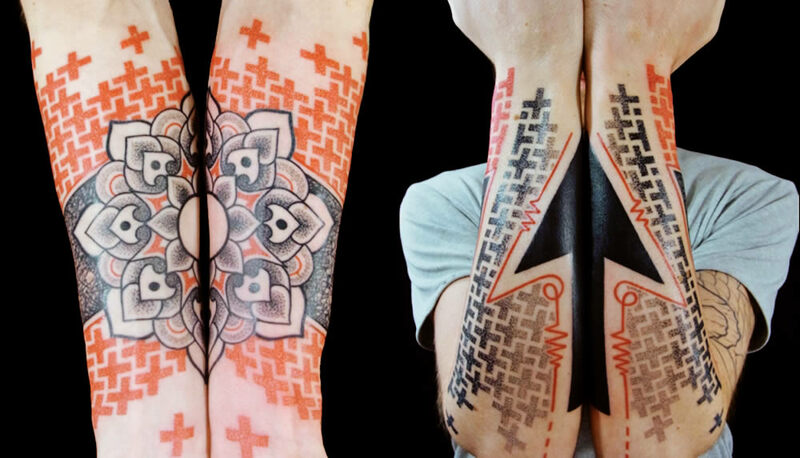 He spreads spiritual intention with each pattern, but won’t copy sacred designs directly. 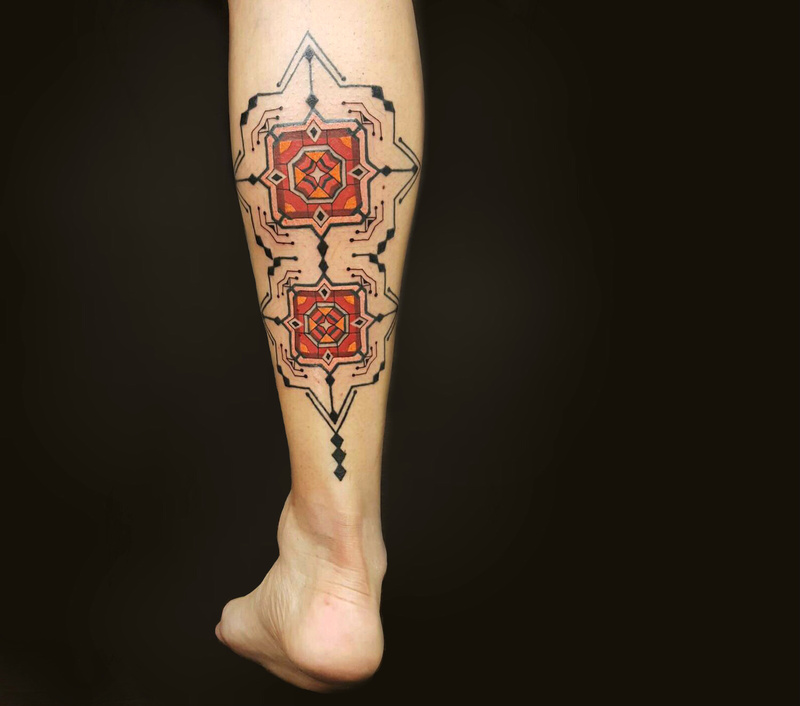 Gomes’ modern symbols are meant to protect each person, to guide them in life and always bring good fortune. 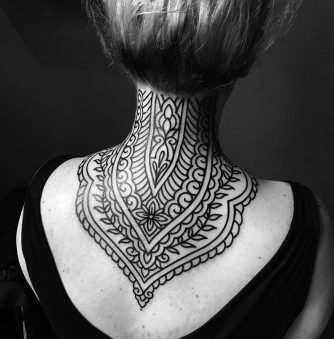 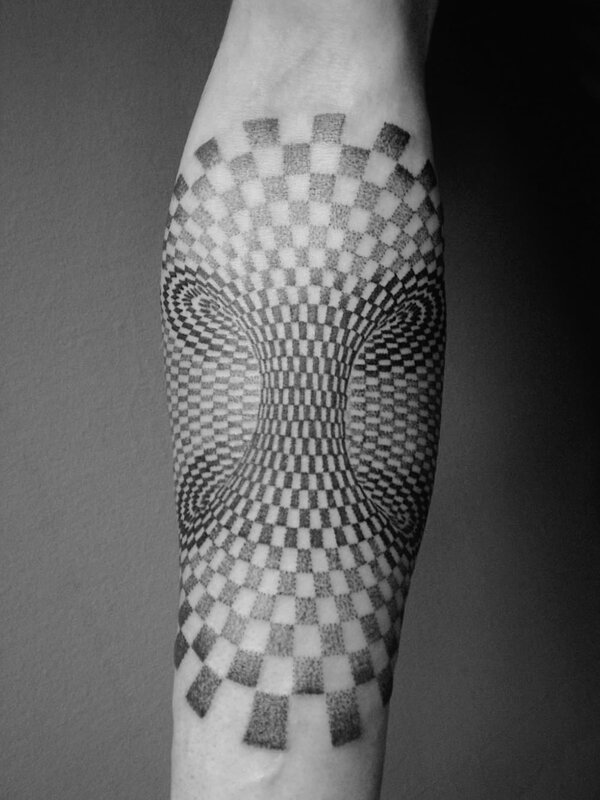 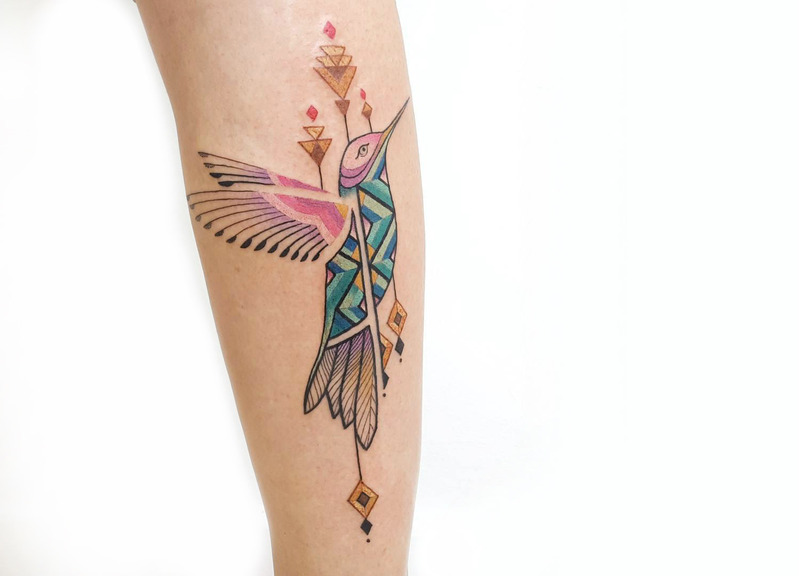 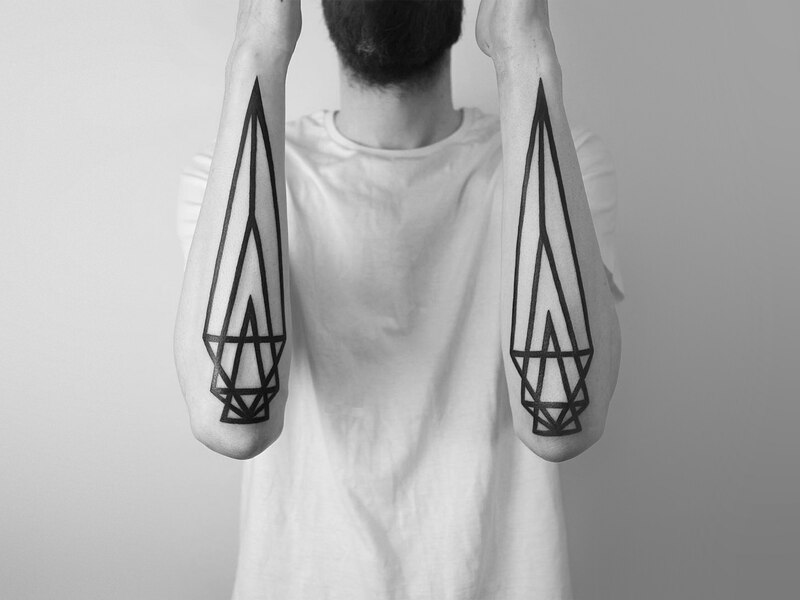 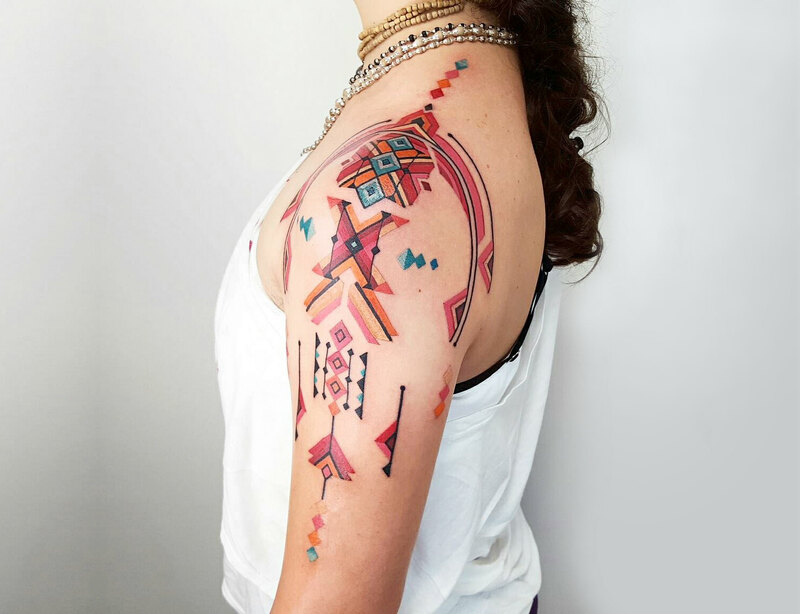 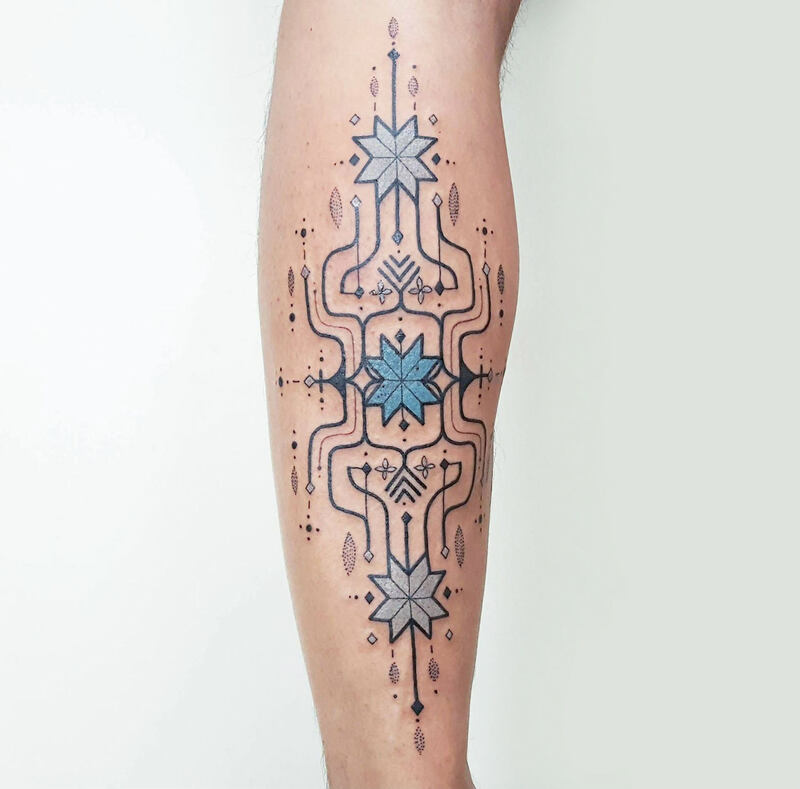 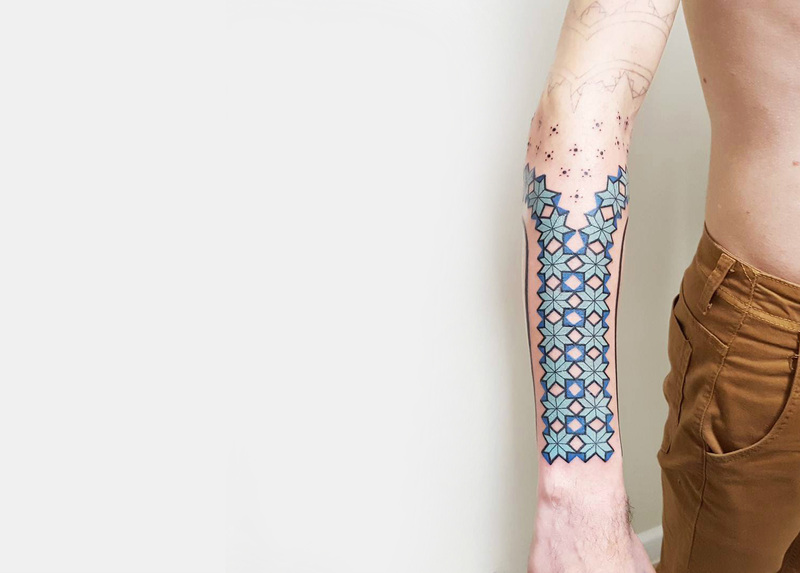 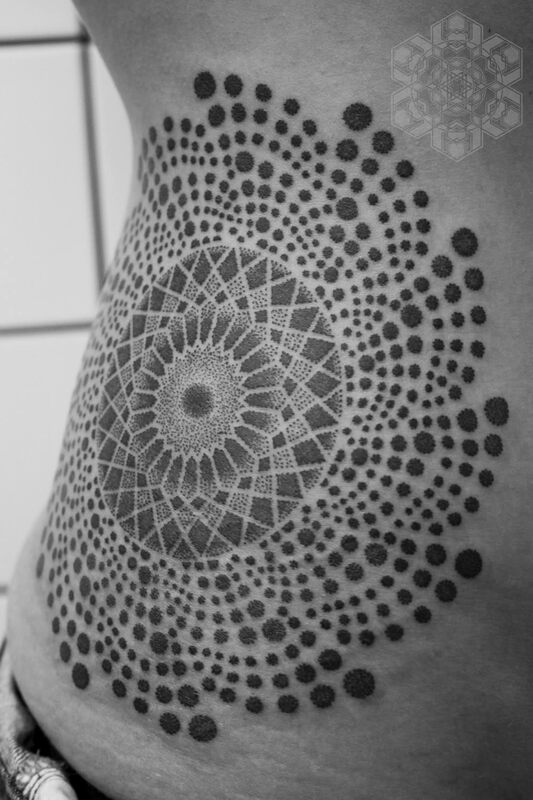 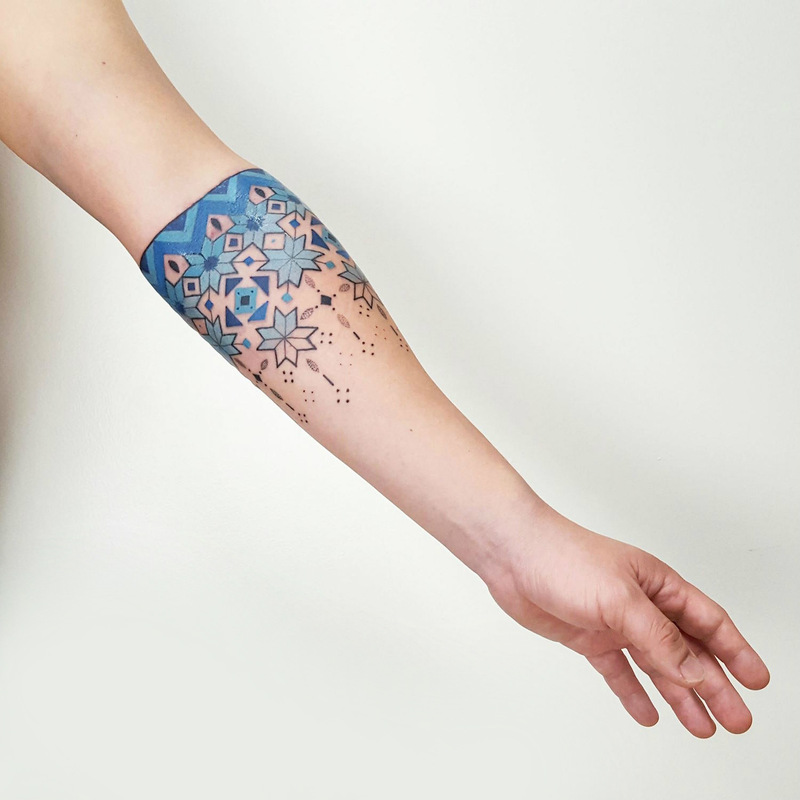 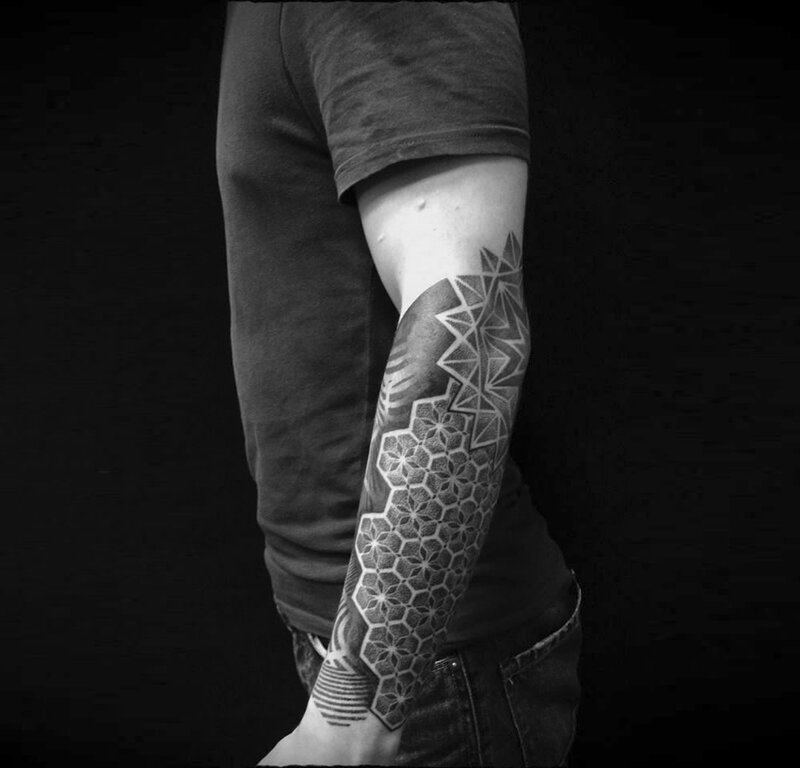 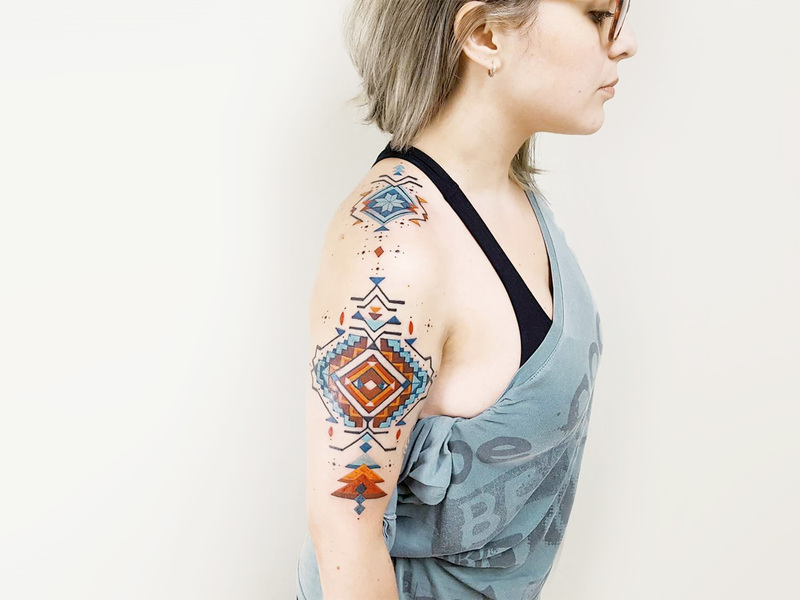 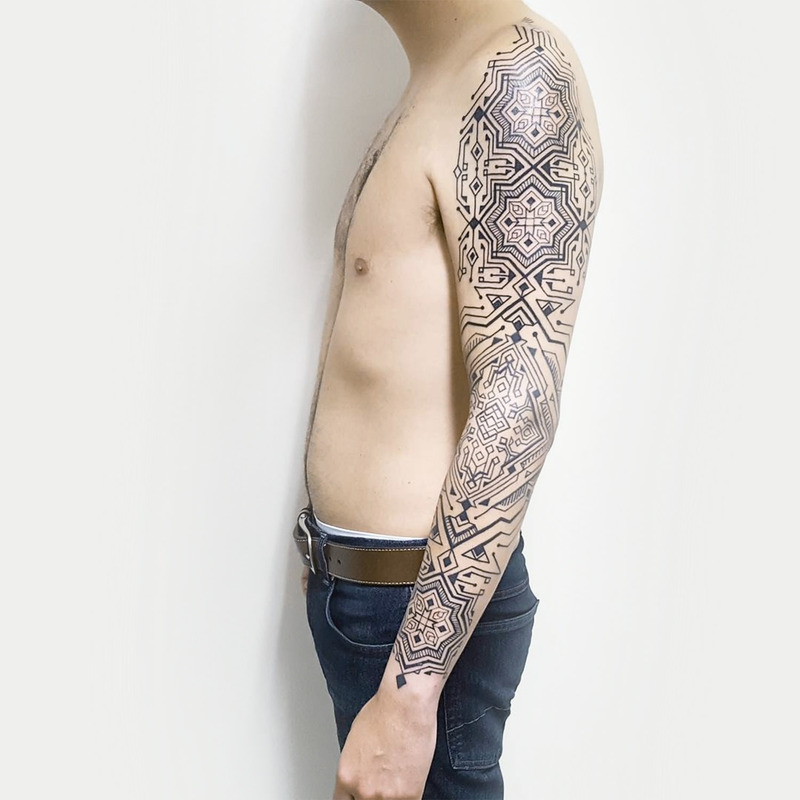 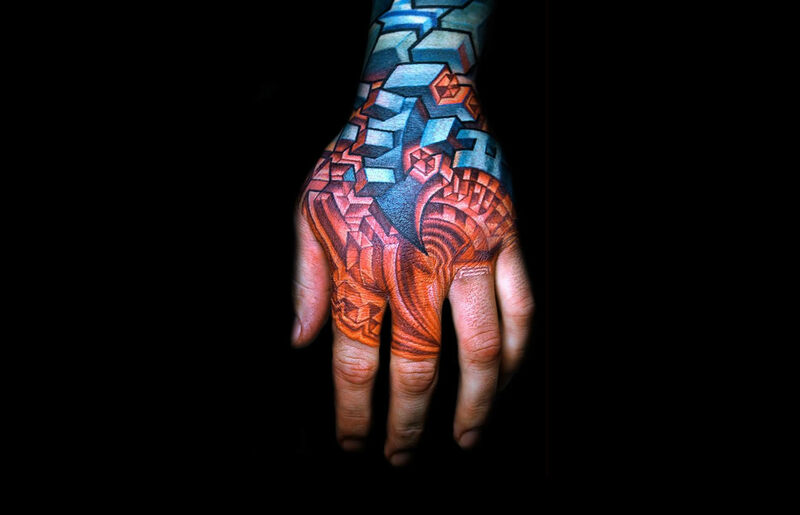 Morgan is a New York-based curator of contemporary tattoo art. 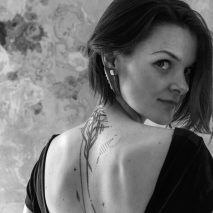 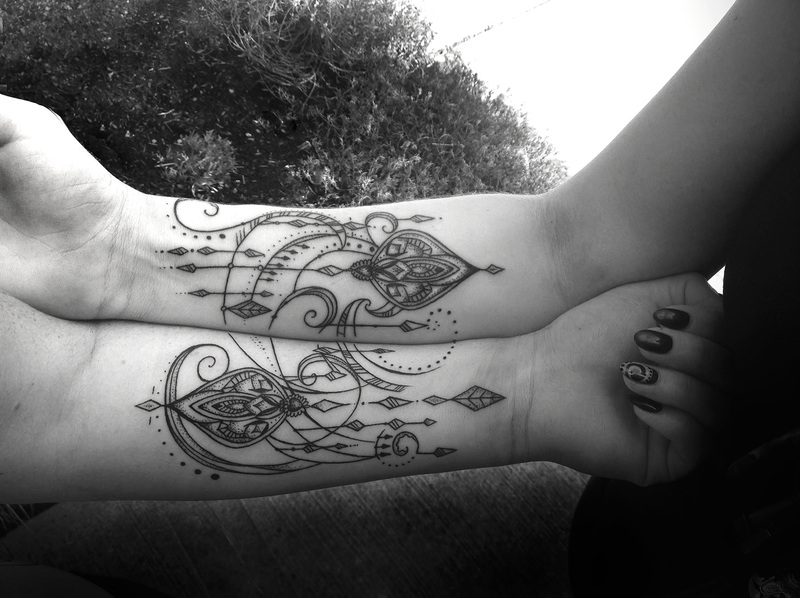 She is Founder and Editor of the digital gallery tattrx.com, works as a freelance tattoo writer and an agent for modern artists. 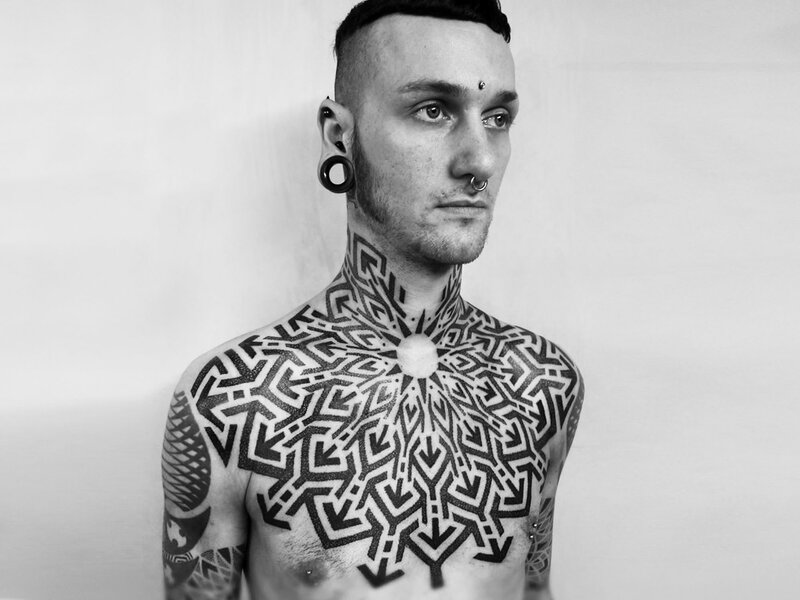 Follow the author @	Instagram	, Twitter,	Facebook and view more articles.